If you and your soon-to-be ex-spouse do not maintain maturity throughout the divorce experience, it can cost you. Processing the emotional consequences of divorce requires maturity. Handling the friendship changes that occur after a divorce requires maturity. Divorce is not something to be taken lightly. It takes a level of maturity to process the event that only someone with life experience can handle. This is why many who divorce in their 20s can sometimes struggle emotionally through this challenging time in their lives. They may not have experienced the same level of struggles throughout their young lives as someone who has lived longer, and thus have a harder time with them when they arise. In the cases that involve the divorce experience, it is a unique set of circumstances, because the maturity of one soon-to-be ex-spouse can affect the maturity of the other soon-to-be ex-spouse. Their dynamics may have broken down to the point where they feel like they can no longer be civil with one another. This can present additional problems to the divorce proceedings. Mediation is an effective way to help negotiate divorce terms, as opposed to having the courts decide. Without a level of maturity involved in the process, mediation no longer becomes an option, which can drive up costs. Generally speaking, the more that two soon-to-be ex-spouses can agree upon during the divorce process, the less time spent in the process, making the costs significantly less. 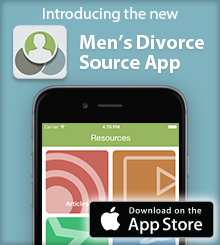 During this time, husbands who are in a difficult place need to be able to rely on a family law attorney who understands the unique circumstances that men go through during the divorce experience. They need to be able to recognize their need for representation that focuses on them and their needs. Handling the divorce process with a level of maturity requires keeping things in perspective. As much as ill will still may be harbored by one or both individuals, it is too important to maintain a level head during the more difficult moments, such as ironing out a child custody agreement, child support, or alimony. Maintaining a level of maturity in the divorce process may require some soul searching, in order to reach a point where one or both of them are able to take responsibility in the part that they played in the breakdown of the marriage. With both parties in pain, it is worth entertaining the parts played in the ending of the relationship. After the process is over, one or both ex-spouses may be in a better mental and emotional position to take a more objective view of the situation and acknowledge their part with maturity and grace. It is not only beneficial for the ex-spouses to take that step for themselves, but for any children that may be caught in the crossfires of an emotionally volatile situation. They are innocent of any of the accusations being hurled and deserve to be protected from the ugliness of the divorce process. In order to shield children and prevent them from being hurt during an already-difficult time in their own lives, the parents need to be able to exhibit maturity and be the adult that they need them to be. Acknowledge that the child may be suffering just as their parents are suffering and offer them any help they may need. As difficult as it is for a parent to admit that their child may need help beyond them, exhibiting the maturity to acknowledge that they are not professionally equipped to handle the mental and emotional issues that can come from a parental divorce, is necessary for the child’s well-being. Many friend groups become fractured after a divorce, and sides get taken. Spouses can find themselves a part of the same friend group, and when they get divorced, the other people in the group are forced to choose sides and neglect their friendship with the ex-spouse that they did not choose. It is an unfortunate aspect of the situation, and it can lead to a lot of social anxiety in the rejected ex-spouse. They can begin to question their worthiness of friendships and create a cycle of self-doubt that can affect the friendships that they do retain. When navigating friendships, the ex-spouse who is struggling needs to be up front and honest about their feelings and express them to someone in the group privately. This person can assess the situation and determine whether or not the feelings are warranted. Divorce can have many second guessing their relationships, and whether those are between ex-spouses or friends, those that navigate the difficult waters of this situation need to maintain the maturity necessary to reach the other side. It is only then that they may be able to move on, meet someone new, and obtain the insight and perspective to why their previous relationship did not function. They’ll know what to avoid in the future.